Many people often confuse dermaplaning with dermabrasion, but what exactly distinguishes one from the other? This article originally posted on SkinInc.com. Dermaplaning is a simple and safe procedure for exfoliating the epidermis and ridding the skin of fine vellus hair (peach fuzz). It has been used for many years, but many estheticians don’t even know it exists, and many don’t use it. When patients hear the word dermaplaning, they quickly associate the term with the procedure known as dermabrasion, and won’t even consider it as a possible treatment. 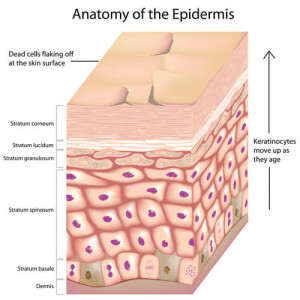 Dermaplaning, on the other hand, is a simple shaving of the epidermis. Dermaplaning is most often used on patients with rough, dry skin, superficial hyperpig­mentation, mild acne scarring, or fine lines and wrinkles. The treatment results in a more refined, smooth, “glowing” appearance. There is no downtime associated with this procedure. However, while this is true regardless of dermaplaning treatment, patients sure ensure proper use of sunscreen after undergoing dermaplaning to reduce the chance of hyperpigmentation. Dermaplaning can be done as often as every two weeks, although it is usually done when vellus hair starts to grow back, which is generally in one month’s time.